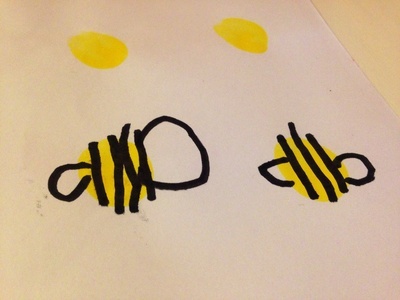 Fingerprint bumble bees are fun for preschoolers to create. Try making them on the front of a blank greeting card, envelope or wrapping paper for some bright and cheery stationery. Time: 10 minutes plus drying time. 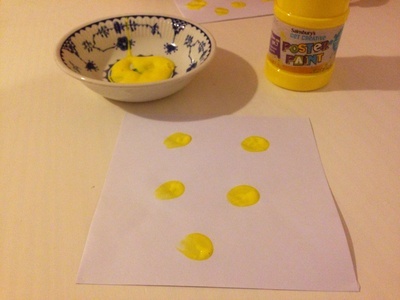 Put yellow paint out in a dish and make fingerprints onto a blank card, envelope or paper. 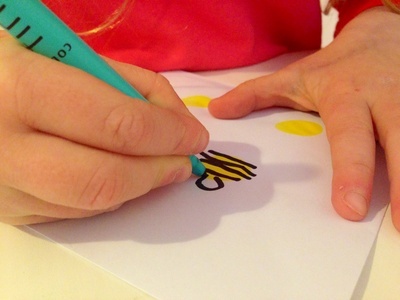 When dry, draw stripes and wings with a black felt tip pen.